Do you vape in your rental property? In order to make a property their own, tenants like to personalise their property as much as possible, however landlords need to keep the property in original condition in case that tenant moves on. So, finding a balance between the current tenant’s needs and their own interests regarding the upkeep of the property is the aim. But how do smoking and vaping affect this balance? The negative effects of smoking in a house are pretty common knowledge and Property Hawk state: ‘Landlords are acutely aware of the bad smells and damage caused to an interior by a regular smoking habit’. A survey conducted by the company shows that just 7% of landlords would allow their tenants to smoke within their rental property with a separate survey by Easyroommate stating that 38% of private Landlords would actually evict tenants if they were caught smoking. This evidence is pretty damning, showing that the vast majority of landlords are against smoking inside their properties but where do we stand on vaping? As you would expect, there is no current law to prohibit vaping inside rental properties, meaning this decision is solely down to the landlord. Landlords will often ask the tenant if they smoke, due to the reasons aforementioned, but do they expect a vaper to answer yes to this question? Many argue that someone who vapes shouldn’t be classed as a smoker, however health insurance companies controversially group them under the same bracket. The Independent Network of Estate Agents suggest that ‘If other tenants have to honour a smoking-ban, seeing the devices — which look very similar to regular cigarettes — could trigger complaints’. The comparison between cigarettes and e-cigarettes plagues the vaping industry and a lack of knowledge from onlookers is often blamed. “Bisnow’s Multifamily newsletter reports that 64% of its readers are in favour of banning e-cigarettes in multifamily buildings.” however the threat of passive vaping has been debunked. Non-vaping co-tenants may not know this or they may be adverse to the clouds of vapour however if vaping tenants are considerate this shouldn’t be an issue. After scouring both e-cigarette forums and landlord forums it is apparent that a number of landlords are concerned about the use of e-cigarettes within their properties. Albeit, many of the reasons for these bans lack substance and/or are based on misguided information. A similar issue has been circling vaping forums for the past few years with reference to vaping in rental cars. Particular car rental companies have even issued smoking fines to customers vaping in their vehicle. 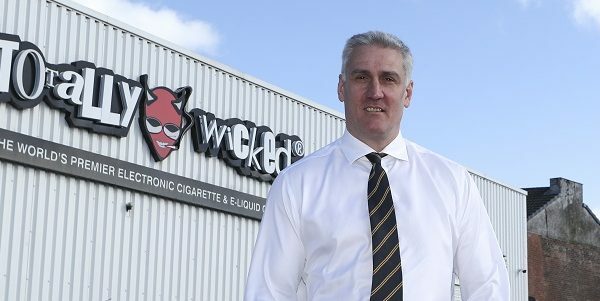 This suggests that companies either have a lack of knowledge regarding e-cigarettes or they are just finding an excuse to fill their pockets. Have you experienced issues regarding vaping in a rental property? Let us know in the comments below?